Modern design with in-built staple storage compartment. 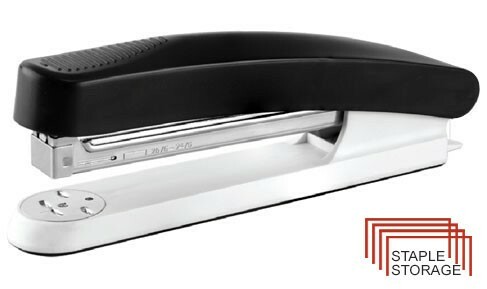 High loading capacity for time saving during continuous stapling. Rotating anvil and reload indicator. 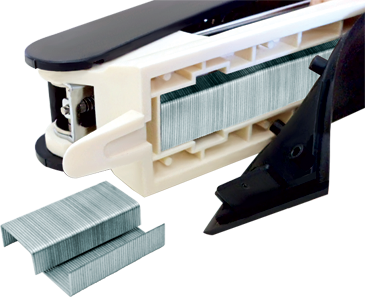 One strip having staples of 24/6-150 or 26/6-210 can be loaded at once. Indicate maximum insertion paper depth. The base length of depth is 105mm and breadth is 185mm.